This year we make a collage apple basket. We've decided to have our pictures at the classroom doors. All students are in the basket classroom. 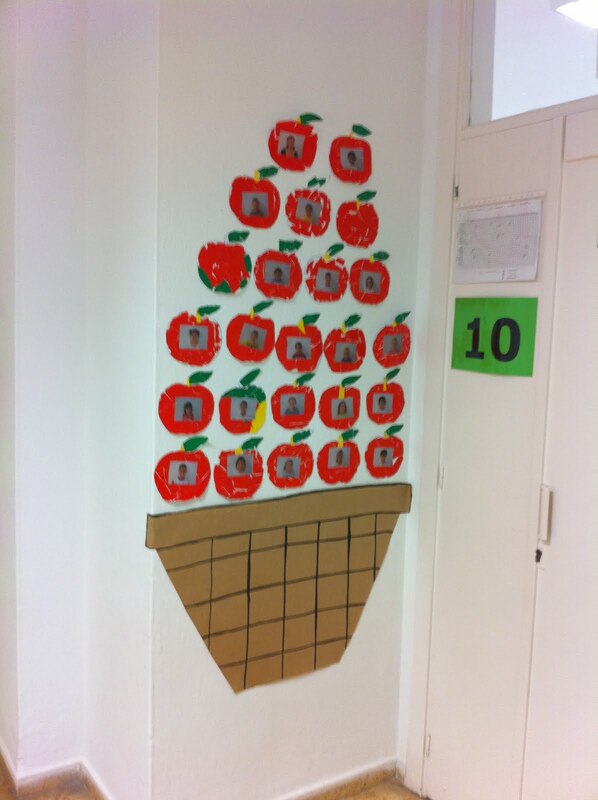 We also make an apple for our teachers!